Much better than under the mat or a flower pot. I mean, come on... where would you look — and not look? Putting an extra key under the mat is old hat. 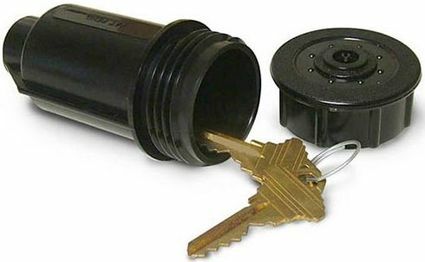 Leave a key for family or friends without worry by hiding it in our fake sprinkler head. 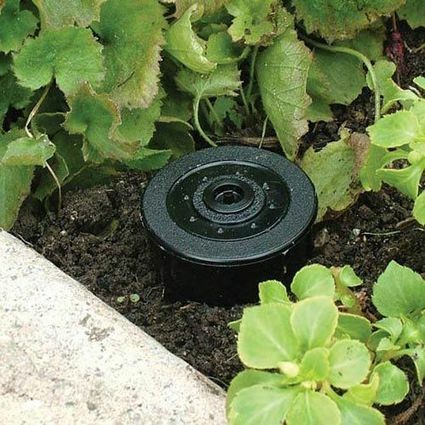 The Sprinkler Hide-A-Key sits inconspicuosly in lawn or garden and easily opens when needed. Durable commercial-grade black PVC plastic. Awwww. I thought I had it nailed. I was close but had the wrong combination.